Can Little Steps really help me? Yes! But not over night, and not without consistently working at it every day. Notice we said ‘consistently’ trying this on and off for a day or two won’t provide the results of permanent change. If you’re in a situation and you want things to change, then it’s going to take time and effort. You’ll need to commit to making this change happen, even when the going gets tough. Persisting through the days when you just feel like ‘this isn’t working’ is key to success! Think of those days and hurdles, or tricks your ‘old self’ will throw at you to try and trip you up. You might need to read some of the little steps over and over again to really absorb what they mean and how you should personally interpret and take action on them. A great way to do this is to take a screen shot of it on your phone and save it as your back ground. Then every time you check your phone, it’ll be there to remind you. Doing these little steps each day over the next 30 days might sound like a lot, but we’ve broken them down so that each day you’ll achieve just enough to move you forward, without stretching you too far out of your comfort zone. Each day you’re going to need to spend just a few minutes on you. Some people struggle with this as their schedules are so jam packed already, and they even feel guilty for being selfish and spending this time on themselves! But make a commitment right now to allocate just 3 minutes, that’s all, each day. It’s better if you can make it the same time, every day. But you can be flexible, it’s more important that you actually do the little step, than be rigid and fail to do it at the allocated time so you end up not doing it at all. Some people think that certain things help them think, like a nice cup of tea, coffee, a glass of wine, or even recreational drugs like cannabis. Even having a nibble on a biscuit or sandwich whilst you do you little step can be a distraction. You really need a clear head, and lets face it, it’s just 3 minutes. So close the window to avoid outside noise, no music, radio, TV, internet, and switch off your phone, and avoid using the computer for your little step, try good old fashion pen and paper. Avoid that sluggish feeling but doing something active for 60 seconds, march on the spot, jump, do press ups, anything that will raise your heart rate, just a little. Or just stand up and take a big stretch. This will not only get you feeling more energised, but it’s a signal to your brain that you’re about to do something important. Each day is a new day, and each new day brings a new step. As you progress, go back through the previous days and refresh your memory on them. How well did they work for you? What could you do to adapt them and more them work better for you? Taking action is key, even if you don’t believe that this little step will work for you, that’s OK. Just try it anyway and if it doesn’t think about why and what needs to change to make it work for you. Share with us how you’ve adapted that step and why your adaption works better for you. Everyone is different, but there may be many more people out there like you that would benefit from this adaption. The truth is, the bigger the problem, the more vital it is that you break it down in to more manageable steps. Taking these little steps will be key to teaching you how to cope with even the most daunting of issues. There are going to be times that you just feel like things aren’t working. Or you’re trapped and there is no way you can progress onto the next step. That’s OK! Everyone gets stuck from time to time, so expect it to happen to you. When it does happen, that’s the time that you reach out to us, the community, your friends and family. Chances are you’re trying to take too big a bite of the current task, you might need help in breaking it down even further. You’ll need to take a step back, get a fresh perspective and try tackling it from a different angle. There really is no time like the present. It’s simply not possible to do something tomorrow, you can only do things right now! So take the first step right now, whatever that is. When the time comes to take the next step, do it straight away, no ifs, no buts, do it now and move on with the rest of your day. We are here to support you every step of the way. Join in with the community, get a friend to take these little steps with you. Get used to expressing how you feel as you progress through the little steps. Getting things off your chest, before they overwhelm you. Often you’ll find that you feel silly at first, but externalising your thoughts is the best way to stop them from building up into a fog of confusion and frustration. Imagine you’re already at the end of this course of little steps. And write down all the things you have achieved, what you have learned and how things have changed for the better. Just spend then next 3 minutes writing. It doesn’t have to be perfect, it doesn’t even have to be realistic! Just write a few words, bullet points or full sentences, what ever works best for you. Why why why, would you put yourself through this? Write down a note, of why this is important to you. What will be the benefit of making this happen? What will be the result if you don’t make these changes in your life? We are often great at giving advice, but awful at taking it, especially our own! So imagine a friend in exactly your situation, what advice would you give them? Focus on that person rather than yourself. I bet it’s great advice, isn’t it! 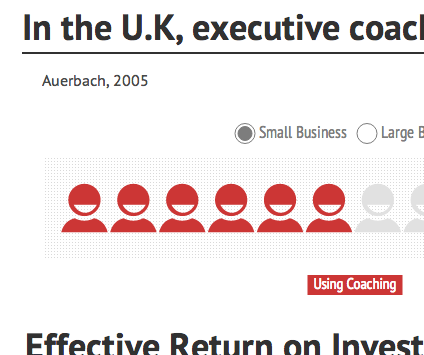 Whether you hire a coach, join the community or simply work with a friend. Getting the right type of support for you will be key. Never be ashamed of asking for help. Trying to do this alone, struggling and failing will be far more detrimental than putting your pride to one side and getting the support that you need, whether that is paid for or free. You decide what you want to work on. Sometimes this focus will change, as you realise that the initial problem might not be the real issue here. So allow yourself to park some issues, or drop them altogether if you realise that there is something different that needs to be resolved first. Often during the day, you’ll think of things that you would like to tackle, tasks you need to do, and ideas you might have. But you can’t take action on them at that very moment, so you think to yourself “I’ll do that later…” and you forget. You end up feeling frustrated that you’ve lost that great idea. So carry a little notebook, or use an online note taking system like Evernote, just jot down your idea and then carry on with your day. It might be that later you look at the note again and decide that, actually, it’s not such a great idea and abandon it. But that’s OK. During these little steps you’ll have some good, bad, and decidedly quirky ideas! Use your notes to look through them at a more convenient time and sort the wheat from the chaff. Meaning, allow yourself to consider your ideas when you have time, so you don’t waste time on silly ideas and you don’t forget the great ones! I felt that the continuity with simplicity was really impressive. It was really helpful in building my confidence and learn lots of things. I always wait for the email. 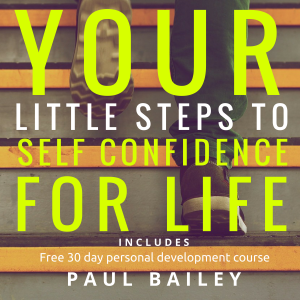 Dear Paul, First of all, I congratulate you on your effort to help people boost their self-confidence. Having read the book before enrolling myself for "Little Steps," I felt that reading the book was beneficial for me to process the theoretical component of the exercise and then understand their significance with the help of examples. Little Steps is a very innovative tool for self-learning. I felt that the onus of learning is on the person and the exercises were brief and easy, so no burden. I also liked the two-tier learning process of Little Steps; first, self-learning and second, participatory learning, particularly when all the lesson taker were contributing their opinions on the Facebook group. i hesitated initially to respond with my answers on publicly and instead, I chose to send private emails to you. But thanks to the lessons, I no longer hesitated to voice my opinion publicly. Although it's a minor observation, it still shows the impact. I also liked the online resources that you shared time to share. They were very helpful. Lastly, Little Steps can only be effective if the lesson-taker is motivated and consistent. Little Steps is a helpful course with new insights but also reminding me of things I know and just not doing. The most helpful, perhaps, is just from the title...little steps. Breaking down projects and goals not only makes them more manageable and seem less overwhelming but it is taking the little steps, even just 5 minutes to get going on a project that one hates or just seems insurmountable. I also like the 30 day concept. I enjoyed the book and the training has been nice to think about little things i can do to help myself more. I like the personal interaction that i have with you through this. I wish other people were more involved in this. It helped. Some situations I could really related to, and the methods to cope in those situations helped me understand circumstances and people a little better. Thank u! Good thing about this course is that it is realistic and easy paced and at the same time it allows one to discover oneself. The daily emails are short, crisp and to the point. First of all I'm glad that I fell on the book that gave me a lot of great insights...till i was led to the online course. For my honest opinion about the course, I would say that it is indeed a wonderful way to make "life changers" like us to remain focused on changing our lives for a long enough period. Also, the exercises, though challenging sometimes were mind awakening. However I found some of the daily actions too brief for a whole day's meditation. Such as the days when all I had to do was assess an aspect on 10...or invite a friend to the course. My most intriguing actions were "man in the mirror", and "everyone has their story". These days left a marked realization in my mind for hours and I think I felt some change on such days. If all the days could be filled with deep mind provoking exercises like these I think I would have gotten more out of the course. Another remark I have is that I would have loved that for every action I am given some advice about what's better. For example one action was to tell what the best, ok and then worst case scenarios would be at a gathering. After answering this I thought "yeah, and I don't see why I shouldn't keep hoping for my best scenarios". Whereas, I'm sure it would be better to just relax with an "ok" situation without feeling bitter. And it would have been nice to write that too in your speech before i take action. Nonetheless I was positively empowered to an extent by this course, and I realize that much of the work and determination really depends on my own efforts, step by step everyday. Thanks for being a life-changer. God bless you! It seems pretty good so far I am putting myself out there a bit more still feel I have a long way to go but I will get there. The daily emails keep me on track most of the time now Christmas is over I can really knuckle down and get there. This guide is really nice. I like how the guide allows us to answer things for ourselves because I truly believe the individual is the only one who can make a change BUT that’s also the thing I would change.